Wikileaks’ release of 250,000 classified U.S. diplomatic cables is a security tragedy that confirms Israel’s warnings about Iran’s atomic threat and exposes President Obama’s failing foreign policy. 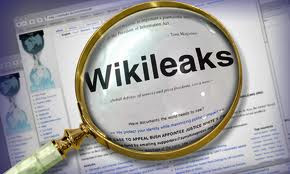 Last week, the organization known as Wikileaks published the third installment of stolen classified U.S. government documents. Previously it released hundreds of thousands of battlefield reports on Iraq and Afghanistan, which endangered our troops and compromised our operations. The latest documents expose the inner workings of U.S. diplomacy, which, at best, embarrasses the administration. But these candid assessments by American diplomats with comments attributed to foreign leaders provide valuable insights, especially regarding the crisis with Iran. First, many Arab leaders are deathly afraid of the Persians. The cables indicate Arab officials are privately much more concerned about Iran’s nuclear program than they admit publicly. One cable asserts King Abdullah of Saudi Arabia repeatedly asked Washington to “cut off the head of the snake” – a reference to Iran — “ while there is still time.” Another Saudi official warned if Iran is not stopped, Arab states would develop their own nuclear weapons. There are other like minded Arab leaders. Cables indicate Kuwaiti interior minister Jaber Al-Khaled Al-Sabah told a U.S. official in 2009 Iran “will only be deterred from achieving its objectives – including a nuclear weapons capability – by force.” Bahrain’s King Hamad warned Gen. David Petraeus in 2009, “The danger of letting it [Iran’s nuclear program] go on is greater than the danger of stopping it.” Earlier this year Saudi King Abdullah encouraged the U.S. national security adviser, retired Gen. James Jones, to use covert ways to weaken Iran. Third, no one knows for certain when Iran might have an atomic weapon, but the time for action is rapidly drawing to a close. Crown Prince Bin Zayed expressed a common worry among Arab leaders. It “is not how much we know about Iran, but how much we don’t,” Bin Zayed said. The Israeli was pointing out the time remaining in which a conventional strike would be possible. Apparently the Israelis understand Iran is hardening its nuclear facilities and at some point only nuclear weapons would be effective and therefore “unacceptable.” Barak’s 18 months expire this December. Fourth, North Korea provides Iran with considerable technical assistance. The media have long reported that North Koreans have been in Iran hardening atomic facilities, assisting with Tehran’s nuclear programs and outfitting the Persians with advanced ballistic missiles. Leaked cables confirm Iran obtained advanced missiles from North Korea that can reach European capitals. One cable insists North Korea sent Iran 19 BM-25 advanced missiles, a Russian-designed nuclear capable missile. Apparently the Russians were skeptical when presented with the allegation, according to a cable, that is until last month when Pyongyang rolled out what experts identified as a BM-25. China helps North Korea transfer dangerous items to Iran and allows the sale of banned materials to Tehran as well. A 2007 cable detailed the transfer of missile parts from North Korea through Beijing, where the parts were loaded on an Iranian commercial aircraft. Earlier this year U.S. Secretary of State Hillary Clinton asked the Chinese to stop Iran from buying gyroscopes and carbon fiber for its ballistic missiles, and another cable indicates Chinese firms sold Iran precursors for chemical weapons. Fifth, the U.S. likely paid a high price for China’s and Russia’s erstwhile anti-Iran economic sanction support. Both nations have traded extensively with Iran and were reluctant until incentivized to support new sanctions out of concern for their economies, according to cables. China imports nearly 12% of its oil from Iran and feared its support for new economic sanctions designed to pressure Tehran would jeopardize that supply. But a series of cables suggest a U.S. envoy facilitated meetings between the Saudis and the Chinese to fix the problem. A 2010 cable confirmed the fix: “Saudi Arabia has told the Chinese that it is willing to effectively trade a guaranteed oil supply in return for Chinese pressure on Iran not to develop nuclear weapons.” The cables do not reveal America’s cost to land the deal. The Russians cast a more difficult bargain. Cables early in 2009 identified Moscow’s strong objections to President George Bush’s European-based ballistic missile defense to counter Iranian missiles. By late summer Mr. Obama scrapped that system, claiming “our intelligence had changed.” Then a 2010 cable reported a senior Moscow official “indicated Russia’s willingness to move to the pressure track” against Iran’s nuclear program. Wikileaks is a criminal organization which should be shutdown and the U.S. government needs to better secure our secrets. But this security tragedy has a silver lining: It validates Israel’s many warnings about Tehran and exposes Obama’s failing Iran policy. It is past time Obama develops a strategy that capitalizes on the collective angst to prevent Tehran’s mad mullahs from acquiring atomic weapons.